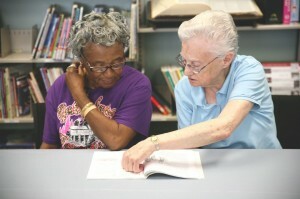 Mentorship can be a wonderful thing. Shelley Zalis, CEO and founder of advocacy group The Girls Lounge, once called it “a gift that has far more intrinsic value than any other” and a valuable “back and forth exchange of information, experiences and ideas” that offered important lessons for both parties involved. 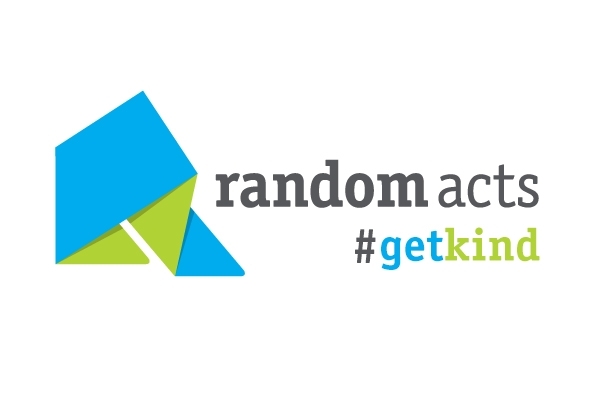 With that thought in mind, Random Acts decided to kick off the new year with a fresh #GetKind theme — Mentoring Others Where You Are. So what does that mean, exactly? Aside from the obvious — giving mentorship to someone looking to improve their situation — we’re hoping our supporters will be able to offer their unique talents and strengths to others in their respective places of work, school, and beyond. Offer to help new hires get situated. Getting a new job can be both exciting and nerve-wracking at the same time. Give a new co-worker a leg up by offering to show them the ropes or by giving them a tour of the building. If you’re shy yourself, a friendly coffee-break visit can break the ice. Volunteer to lead in your student council or presidency. More than that, choose to lead by example wherever possible. Whether it means organizing an after-school peer-tutor program or promising to be more inclusive of those students living with disabilities, mental or physical, you can be a leader in your own way and inspire your peers to be better. Help your fellow moms and dads! Being a parent is tough work — and it’s even tougher if you’re a single mom or dad. This month, strive to lend a few gentle tidbits of advice, helpful tips, or words of wisdom wherever possible when it comes to other single parents (or exhausted couples) in your community, and show your kids what it means to #GetKind at the same time. Offer to teach one-on-one. Are you a teacher or professor? Aim to help your students this month by giving providing a few extra office hours or reaching out to those you think could use a little help (as nicely as possible, of course). You’ve already got the skills to be an excellent mentor… why not put them to good use? Extend yourself to those dealing with similar issues. Whether they’re health related, job related, or otherwise, sometimes just tapping someone on the shoulder and letting them know you understand their plight personally can make a world of difference. Everyone struggles — but not everyone has a friend to help them along that path. Be that person. Wherever you are this month, we’re challenging you to be a stellar example and mentor to those with whom you work and spend the majority of your days. We’re certain you can do it. Let’s get out and #GetKind! We’re here to help! Head over to our “Get Involved” page and find out if you qualify for aid by filling out an act proposal form — we offer financial assistance to those who need it to complete their kindness projects. Don’t forget to tell us about your amazing acts on social media too! Make sure to tag all your posts with the hashtag #GetKind, or submit your media here — you could be featured in a future post!